When growing up, I spent most of my time with my great grandparents. My great grandfather was a carpenter and a tile mason by trade, but more importantly, my role model to this day. Being raised by him has heavily influenced the types of artwork I pursue. I favor the designs of reproduction furniture due to its functionality and reflection back to my past and family. 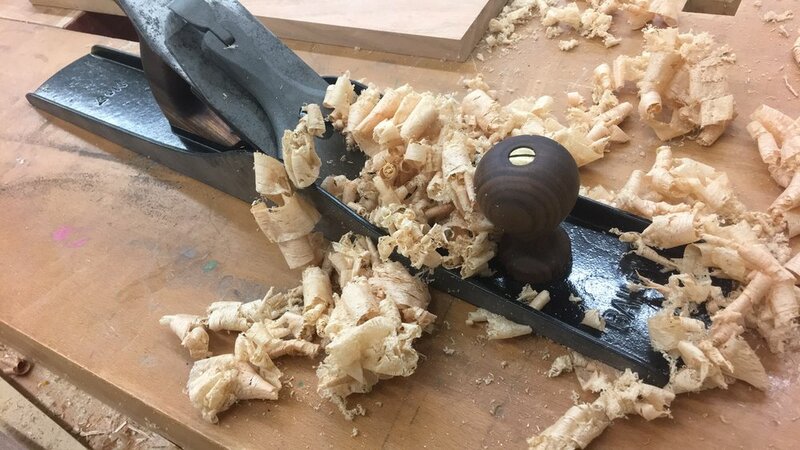 I strive to enhance each functional piece of work by hand selecting woods with figure and character that allow the functionality of the piece to represent the natural beauty found in nature. In my pursuit of bettering my abilities, I have broadened my spectrum in the ways of reproduction. Nature is, and has been a large part of my life and admiring the beauty that lies within it. In the form of carving, I strive to mimic the beauty found outdoors by utilizing the incredible characteristics of wood. In my carvings, I try to replicate the object found in nature to the best of my abilities with the aid of other media, such as milk paint, to enhance the surface. Milk paint is an old-fashion paint with natural ingredients which gives the paint an organic color palate to help mimic the colors found in nature. By replicating functional furniture and replicating the things found in nature, I find a balance between expression of who I am, and what I have become due to the people around me. Matthew Vick is a student at Tennessee Tech University studying for a Bachelor of Fine Arts degree with a concentration in Wood. From an early age, Matthew was intrigued with hands-on construction of things such as Legos with his family or building forts in the backyard with his little brother. In middle school, he began to help build decks with his father and found a new fascination in the building material. As a junior in high school, he eventually found himself at a lathe when a gentlemen from his church taught him how to turn a pen on a lathe. From then on he tried to expand his skills in woodturning, self-teaching through books, videos, and trial and error. After a year in college, pursuing a mechanical engineering degree, he realized his true passion was woodworking. After that year he switched his pathway to a Bachelor’s Degree in Fine Arts with a concentration in Wood. Now he is being taught by Graham Campbell, an established artist and professor, to learn, fine furniture construction and many other woodworking techniques. He plans to graduate spring of 2019.